Today, Marvel released an onslaught of announcements concerning the third phase of their Cinematic Universe as phase two will come to an end this summer with The Avengers: Age of Ultron. More than anything this feels like a response of sorts to the announcements made by Warner Brothers on October 15th that included a two-part Justice League film, but we all know Marvel has had their plans in place for a long time now. While, personally, I am rooting for a world where these two cinematic universes based on rival comic companies can co-exist peacefully and as two different types of endeavors it is clear that will never be the case. Marvel will always be the innovator, the one who gets credit for taking the leap and crafting something unique while DC, if successful, will still have the prejudice against them of getting things together too late. Still, DC has Batman and as much as Marvel is in the lead in terms of planning and profitability they don't have a single hero that is as universally loved and admired as Batman. 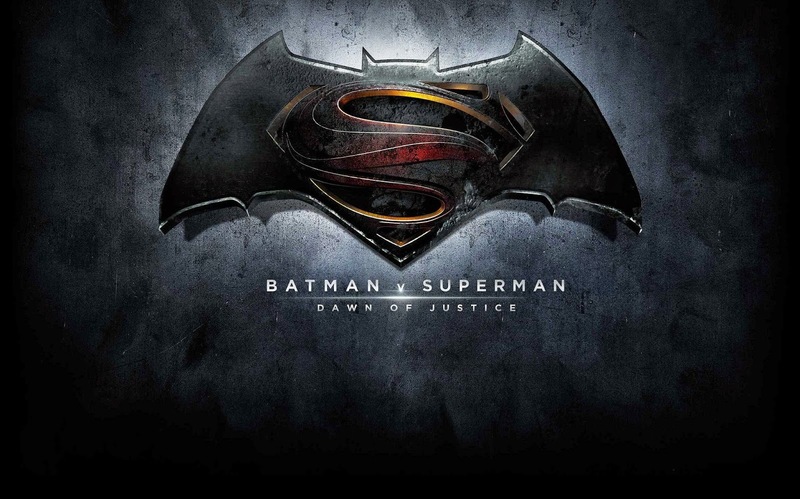 If DC is going to compete at all they need their next film, the follow up to 2013's Man of Steel to be both something the fanboys approve of while matching or at least coming close to the $1 billion worldwide gross of Christopher Nolan's The Dark Knight. What is interesting, and probably for the best, is that DC hasn't slated a stand alone Batman film in their line-up and will allow Ben Affleck's iteration of the character to be present only in Batman v Superman: Dawn of Justice and the subsequent Justice League films. Marvel, on the other hand, is more confident than ever in trying new properties and their phase three certainly shows that. Check out the line-up for both studios after the jump. 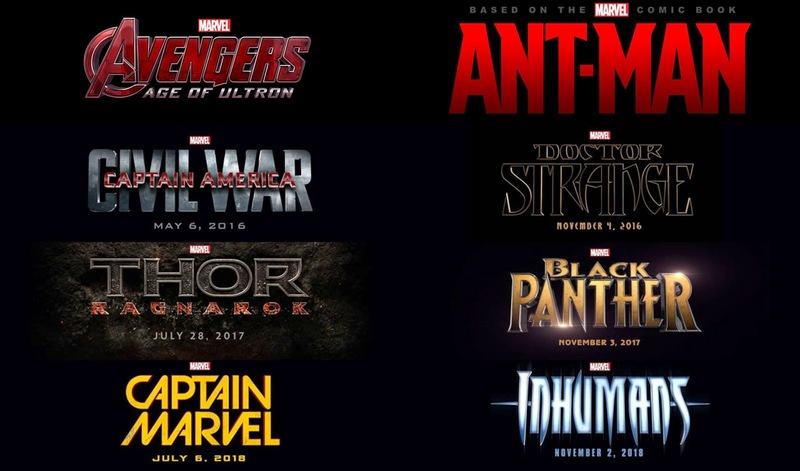 The Marvel Cinematic Universe (MCU) has eleven films slated at the moment beginning with The Avengers sequel in May of next year and up through the second part of Avengers: Infinity War in May of 2019. Two films next year and in 2016 followed by three each in 2017 and 2018 garner them this total while the film for the latter half of 2019 has yet to be announced. DC on the other hand will wait until March of 2016 to begin their world-building followed by two features each year through 2020. The majority of each of these twenty-one films have casts and filmmakers in place with good ideas of where things are headed. To this extent it brings up the fact that DC is essentially putting together their phase one while Marvel is operating at a level unexplored by any studio before. DC will remain at an unfair advantage because they will constantly be compared to the more intricate universe Marvel will now have in their hands thanks to the additions of films such as Inhumans and Captain Marvel. Where DC comes ahead in terms of innovation is giving the first female super hero her own movie (and potentially hiring a female director for a major comic book film, which also hasn't happened yet) though with the announcement of Captain Marvel the MCU will not be far behind. DC is also making unique casting choices that continue to surprise rather than simply satisfy as Marvel's tend to do. I like Benedict Cumberbatch (rumored but still unconfirmed as Doctor Strange) and Chadwick Boseman (Black Panther) as much as the next person, but don't they seem a little obvious? 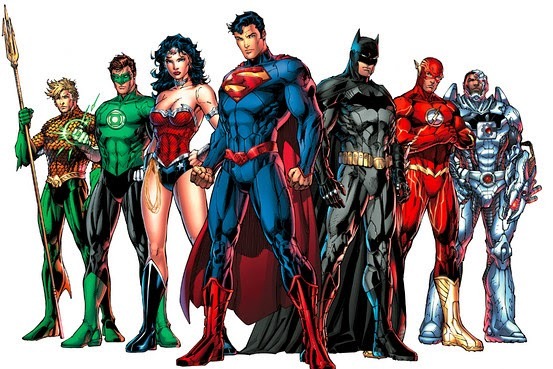 In going with the likes of actors such as Jesse Eisenberg and Ezra Miller for iconic villain and hero roles DC is keeping up with the prominence of Marvel by keeping things interesting. What exactly is Marvel getting at over the course of phase three though? That was the big question answered in today's information overload as Marvel Studios President Kevin Feige provided confirmation that both the Civil War storyline would take place as rumored in the third installment of Captain America, that Thor the Third is certainly the least interesting in the upcoming lineup and that while DC may be offering a woman her own feature super hero film first, they will be giving the first African American their own super hero flick with Black Panther in 2017. While this has clearly been in the cards for a while given there are already links to Black Panther's origin in the completed Age of Ultron DC is not far behind. There have already been rumors about replacing Hal Jordan's Green Lantern (as portrayed by Ryan Reynolds in the 2011 bomb) with John Stewart (an African American iteration of the hero) for his 2020 re-boot. Still, even if DC decides to stick with Jordan, they already have a stand alone film for Cyborg scheduled in 2020 starring Ray Fisher who will first be introduced in Batman v Superman: Dawn of Justice. If DC really decides to play in the arena of race and gender politics in major Hollywood blockbusters than we could possibly see two African-American led super hero films in 2020. Getting back to Marvel, the interesting parts of phase three include Doctor Strange (directed by Scott Derrickson), the aforementioned Black Panther, Captain Marvel and Inhumans. Let us not forget we will also be getting Ant-Man (Starring Paul Rudd and directed by Peyton Reed) next year and a sequel to Guardians of the Galaxy in 2017 that will no doubt set them up for their appearance in Avengers 3, but who are these new guys? From what I can gather, Strange is a surgeon that suffers a life-changing car accident and eventually heads to the Himalayas where he gains psychic powers and in turn uses them to protect the Earth against magical and mystical threats. Prior to these announcements I knew little to nothing about Inhumans, but it sounds similar to Guardians in that they are team, but this time of superhumans that were created out of the experimentation on early Earth homo sapiens by an alien race. So, what do you think? Are you upset there is no Iron Man 4 or stand alone Hulk film in the near future for Marvel? Do you think DC even has a prayer at competing? Let me know your thoughts in the comments section and check out a schedule below for all of the currently planned Marvel and DC releases. · Doctor Strange November 4, 2016.